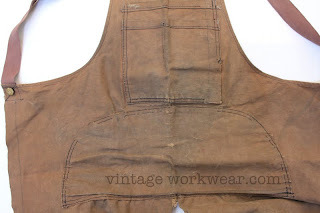 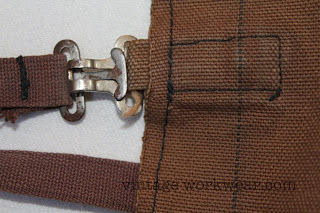 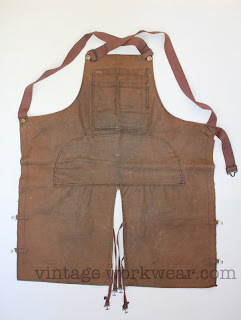 1940's-1950's era shop apron in brown duck canvas with selvedge details. 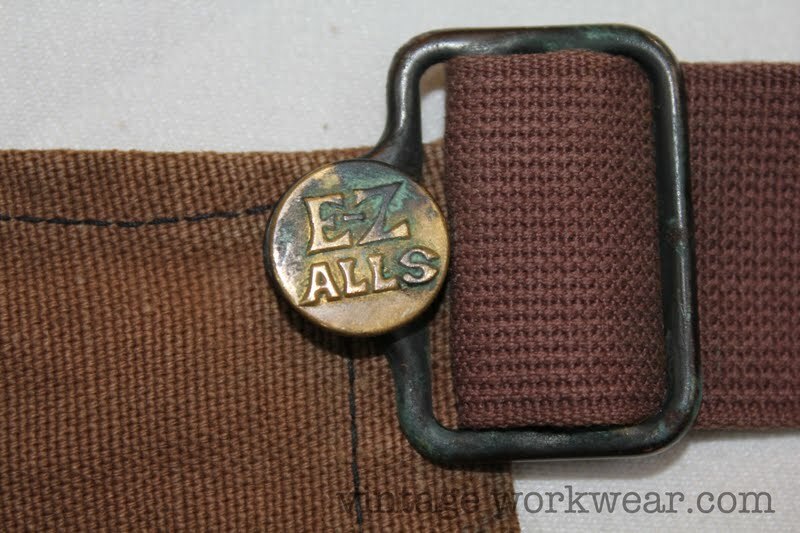 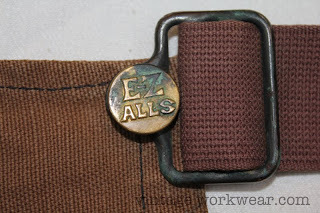 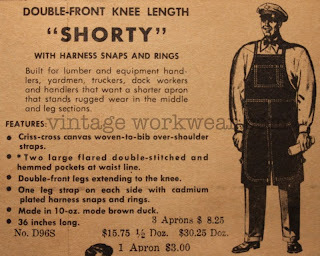 These type of aprons were also known as Split Leg Aprons or Semi-O'Alls. 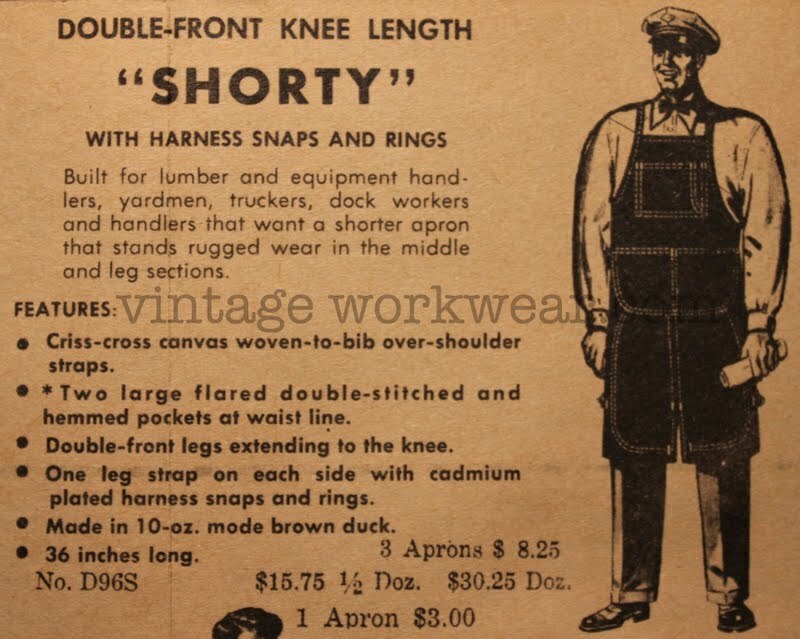 This particular model can also be referred to as a "Shorty" apron due to its shorter leg sections.